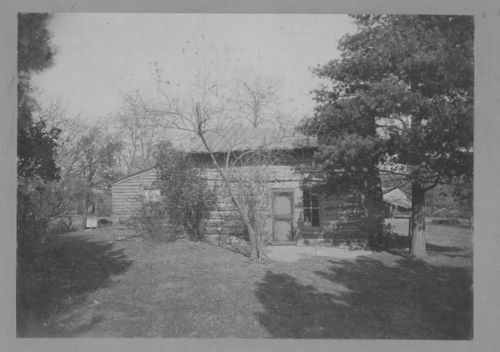 An exterior view of the Samuel Lyle Adair log cabin, Osawatomie, Kansas. Adair and his wife, Florella came to Kansas and settled near Osawatomie, an abolitionist community and a center of conflict during the Kansas Territory. The Adair cabin was a station on the Underground Railroad and Florella's half brother, John Brown, used this cabin as his headquarters. The cabin survived the Battle of Osawatomie where John Brown and 30 free-state defenders fought 250 proslavery militia in 1856, and stands on the battle site today. The cabin is now the John Brown Museum and maintained by the Kansas State Historical Society.